The Rajah’s invitation to establish an Anglican mission in Sarawak, was to help the Rajah to bring peace to his newly founded kingdom and civilizing influences on his subjects, especially the more savage Dayaks. Brooke’s idea of a Christian missionary was one that he felt approximate the American model, as practiced in China then – one who “live quietly, practice medicine, relieve the distressed, do not dispute or argue, and aim to educate the children”. It was also an age of mission in England, and the invitation of the Rajah could not have gone unanswered, though it took quite some time to organize. The initial party was led by a surgeon turned priest, Francis Thomas McDougall. Right from the beginning, McDougall made use of his medical skill to bring the Gospel to the population of Kuching. In fact, he was the first and only medical practitioner in Kuching then. He ministered to both expatriates and locals, who valued his medical services greatly. Soon a daily dispensary was established, which he manned from 12 to 2 or 3 o’clock. 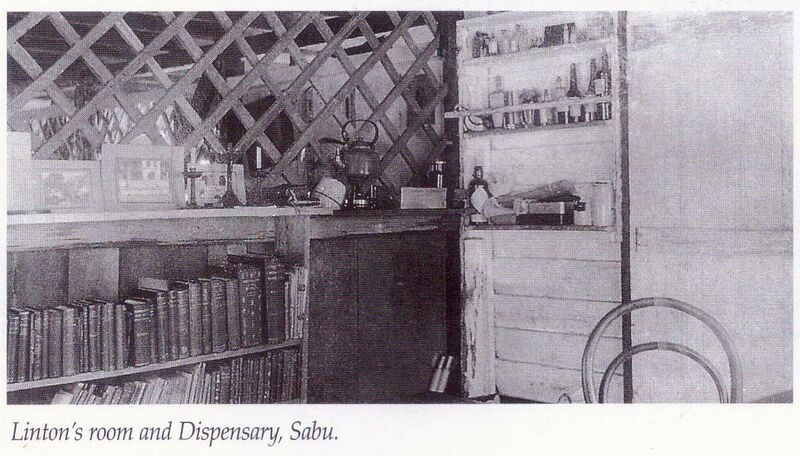 The dispensary was later fully maintained by the Government. What McDougall started in Kuching was to be duplicated elsewhere, though in lesser degrees, depending on the expertise of the man on the spot in the various mission stations. It was indeed a holistic mission, ministering to body, mind and spirit. “In fact, all expatriate missionaries were given at least elementary medical training before they were sent out to serve in the tropics, not the least to know how to treat themselves. “ Local priests and catechists were also given elementary medical training on how to administer first aid, and how to dispense medicines, not too difficult in those days considering the limited number of medicines available. In some places, they were the only ‘orang puteh’ in the area, and they were often appointed as Government’s medical representatives. The jungle schools were also venues for imparting basic knowledge to students. The boys from the schools were sent to the Government dispensaries to learn to be dressers. The girls were taught basic hygiene and some knowledge of nursing, to prepare them for motherhood. The missionaries really had little choice but to act as ‘doctors’ because the people, converts and all, would turn to them in cases of emergency or when local ‘cures’ proved ineffective. Being the practical persons they were, they both prayed and ministered medically to them – often with miraculous results. Another missionary who was a surgeon was Crossland, who spent 15 years ministering in Undup until 1886. He was a qualified surgeon at St. Thomas’ Hospital, London before he became a priest. In Undup he was greatly loved by the people who fondly called him “Tuan Manang” – Mr. Witchdoctor. When William Howell came to Sabu in 1888 and ministered there for the next 50 years, he found himself continuing Crossland’s medical work, though in a much more diminished capacity, not being a trained medical doctor himself. Howell traveled, as would the other missionaries, with his medicine chest. The medicines were supplied by the Government. When special drugs or medicines were needed, Howell would write to the Medical Officer in Kuching for supply. Howell’s medical work was carried on by Stonton who had studied at Livingstone College and served in the Royal Army Medical Corps. His dispensary at Simanggang even provided dental services, efficient but without anesthetic ! In Betong, Linton’s dispensary even proved more popular than the Government’s dispensary because patients often got better medicines and 24-hour care, too. In times of a serious epidemics, the Government would recruit the services of missionaries to administer vaccinations or inoculations. Sometimes, it was the missionary’s wife who would be doing the medical work as was the case of the Allens at Banting. Mabel Allen was a medical doctor and she set up a small clinic at Banting in 1904, and was assisted by nurse Bailey. Later nurse Thompson took Bailey’s place. With the opening of the Padawan Community Development Scheme in 1957, the Mission sent Sister Gwynedd Nicholl to Padawan, to look after the medical aspect of the Scheme. 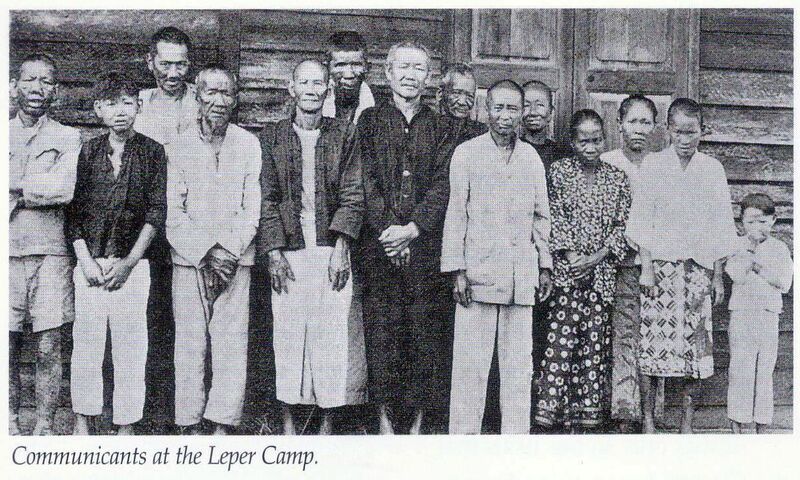 Miss Nicholl opened a dispensary and was assisted by two Dayak girls. Domestic science was taught to local women. Those men coming for courses at the Centre were given daily First Aid training at the dispensary and on their return to their villages they were supplied with simple medicines. The people of Padawan benefited greatly from the presence of Miss Nicholl, who attended to most of their medical needs. In 1960 Nicholl was replaced by Miss Fanny Storr. 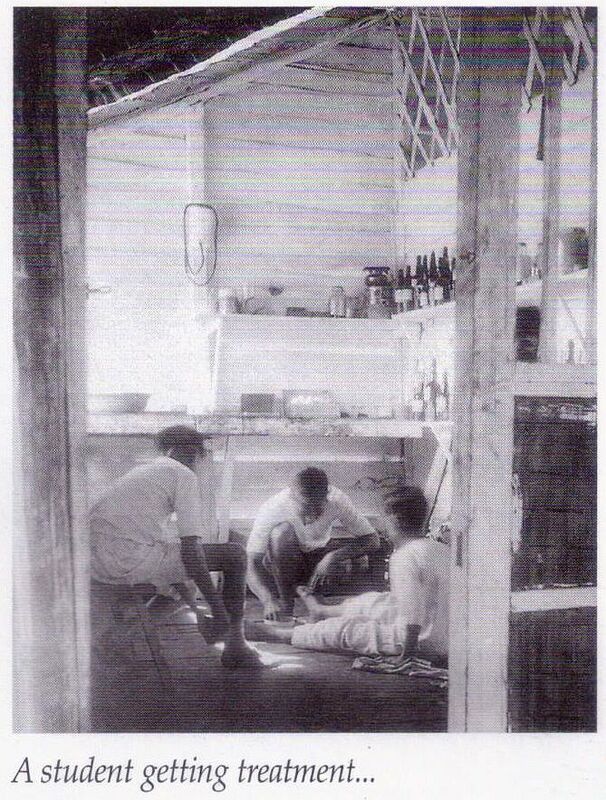 In 1958, the Mission also opened a medical clinic at Bunuk, where Miss Simit started work as a health visitor. She was assisted by Miss Beryl Hobby in 1959. Later Miss Nicholl also moved to Bunuk and continued the Church’s medical mission. She was loved by the people who called her “Mbuk Dawan” (Lady of Padawan). Another aspect of Church’s medical mission, which was started from McDougall’s time, was the visits to the leper and pauper settlements. In 1921, Miss Cubitt left Mission service to become the matron of the Leper Camp, where she also acted as honorary evangelist. At the Pauper Camp, a new chapel was dedicated to St. Francis on 25 November, 1924. A chapel (St. Gile’s) was also put in place when the Leper Camp finally settled down at the thirteenth mile. With Sarawak’s independence in 1963, the Government took over and improved all of the medical services in the country, leaving the Church to concentrate on matters spiritual.